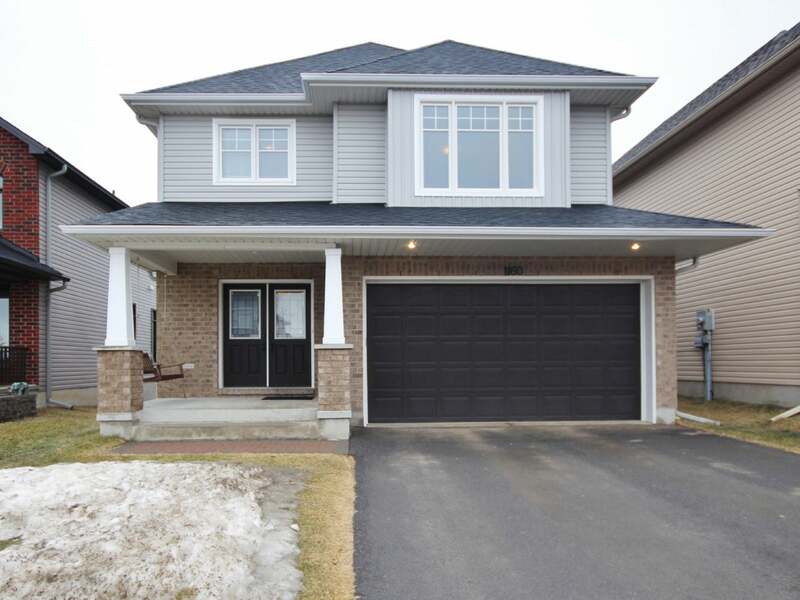 Beautiful modified 'Bristol' w/walkout basement set on a quiet crescent! Featuring extra deep lot w/no rear neighbours, 2,350 sq/ft, 4 bedrooms, 2.5 baths plus hardwood & tile floors throughout the main level. Bright & open living room w/gas fireplace & pot lighting. Absolutely stunning custom kitchen w/granite counters, huge centre island w/2 sided extended bar, built-in pantry, tile backsplash, stainless appliances & patio doors to elevated deck. Main floor office w/french doors & unique mud room from garage. The oak hardwood staircase leads to 2nd floor w/hardwood floors in hallway, 4 bedrooms including huge master w/walk-in closet & gorgeous 5-piece luxury ensuite w/shower & roman oval soaker tub. 2nd floor laundry w/built-in cabinetry. Lower level awaits your finishing touches w/oversized windows & patio door to 2nd deck & fully fenced rear yard. Rough-in for future bath, HRV, central air, on-demand hot water & more! Just steps to the park & minutes to all west end amenities. Lot Size 40 x 137 Sq. Ft.